New York Film Academy filmmaking alumnus Ruchir Garg was an executive producer on independent comedy “It’s Gawd!” starring Tommy Chong, Luke Perry and Rebecca Maden. The film has been released on Amazon and is screening August 24 at the AMC in Union Square, New York City. “It’s Gawd!” follows the creator as he tries to save humanity (and his job) through a late night variety show and a variety of comedic high jinks. We had a chance to catch up with Ruchir and learn more about his journey with “It’s Gawd” from initial script read to Amazon distribution. For those in the New York City area, further information and tickets for the August 24 screening of “It’s Gawd” can be found here. RG: I have always had great love for stories. While growing up in India, we were surrounded by tales from puranas and jatakas (traditional folk tales). However, engineering and medicine used to be the most desirable professions, and so I studied computer science, and started working as a systems analyst. 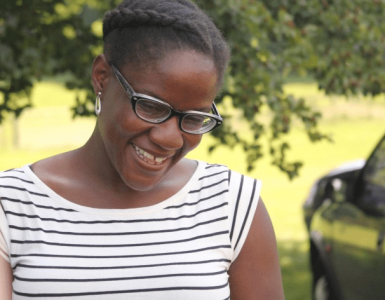 I came to the U.S. when Merrill Lynch interviewed me on the phone and offered me a job. At the time I came to NYFA in 2004, I had lived in NYC for 7 years. I was working in the financial services industry. I used to go to the movies a lot. I loved comedies. Most comedies used to be rom-coms, and I wished there was more diversity of themes in comedy. I read a couple of books on screenwriting at first, which piqued my interest in learning filmmaking. I wanted to direct. The 8-Week Filmmaking Workshop at NYFA was perfect because I knew I could convince my employer to let me take eight weeks off work. Anything longer than that would have been difficult. After the NYFA course I returned to India and participated in the production of a feature film, a family drama. I was mainly observing the process. I then realized that I would have to enter the industry as a writer or a producer. I started writing a comedy on the side. But I was never satisfied with what I wrote. After a couple of years, I put the dream on hold. And then “It’s Gawd” happened. NYFA: What inspired “It’s Gawd!”? RG: “It’s Gawd!” was inspired by the works of Neale Donald Walsch, which I happened to be familiar with. Jerry Brunskill, who had written the script, was crowdfunding for the film on Indiegogo. I came to know of it when Neale wrote a post about it on his Facebook page. I liked what I saw and contacted Jerry. He turned out to be a gem of a guy. After reading the script, I knew I wanted to do the project. Presenting God as a fun loving being was very original. NYFA: Would you say your time at NYFA was at all useful in preparing for your experience as executive producer of “It’s Gawd!”? 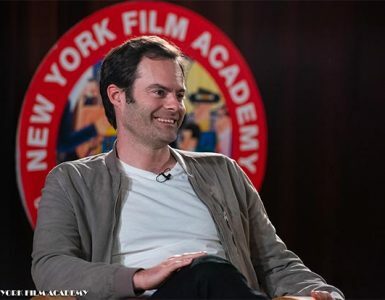 RG: The NYFA experience turned out to very useful because it was very hands-on. When I came across the script for “It’s Gawd!” I was familiar enough with the filmmaking process so I could ask the right questions to make an informed decision. In fact I am pretty sure that without some prior knowledge of the process, I would not have had the courage to take it up the project. NYFA: What was the process like for you finding distribution with Amazon? RG: We submitted the movie originally to several high-profile festivals. It was not accepted. The general feedback was that the movie seemed too commercial. We screened the film for some friends in the business, and received similar response. We were not successful with any major distributors either. They said they looked for critically-acclaimed festival winners. A friend and industry professional suggested that since our film had the hallmarks of a cult film (such as “Idiocracy” and “The Big Lobowski”), we should promote it as one. Since there are no well-defined avenues to do that, we decided to self-distribute. We talked to some DVD distributors; but the money offered was very small. We thought we could use Tommy’s growing social media popularity. We started evaluating iTunes, Vimeo, Amazon, etc. and met with their representatives. It so happened that Amazon launched its Video Direct platform at this time; It let us present the film to a very large audience and do a bit of revenue sharing. It would take several million views to recoup our cost, but at least the film will be seen by a lot of people. To be accepted, Amazon required a high standard of technical quality, which we did have. After the invitation-only premiere in LA — which was very successful — we did a screening in Minneapolis, which sold out. Tugg makes it quite easy to do special screenings. Once a filmmaker has uploaded the film to Tugg, anyone can screen it, provided he/she can promote it and sell a minimum number of tickets. NYFA: What advice can you offer to aspiring NYFA student producers who are navigating the world of distribution? RG: The distribution industry and marketplace has been changing rapidly. So do your research, investigate options, talk to professionals, follow up. Use your contacts to connect with industry insiders. NYFA: Is there anything we didn’t ask you’d like to share with our community? RG: The most important thing is to continue to have enthusiasm, even in the midst of adversity. We had our bit of adversity, in every phase, but it was somehow overcome. There is no formula for success. But if we stay enthusiastic, inspiration will flow and doors will open.